The sprawling, humanist Delhi 6 is a bit of a Monet. Sentimental and impressionistic, it's quite sweet when you step back from it. But, close up, it's a big old mess. The characters, while vivid, are rough sketches, and the tone swings wildly around - one minute, you're laughing, one minute, crying. Oh, the humanity! Lovely aesthetics though: great poster! But see how busy it is, too?! American, Indian. Hindu, Muslim. Dove, no dove! ...the sleazy money-lender (Prem Chopra), the "village idiot" Gobar (Atul Kulkarni), the Muslim paan-wallah with the sensitive cheekbones Mamdu (Deepak Dobriyal), the woeful aging spinster Rama (Aditi Rao), a bunch of super-cheeky kids, a false Hindu sage ("God will make everything okay, okay?!") and loads of other people. Abhishek Bachchan was his usual Americanized self. Sonam Kapoor was gorgeous, but clearly inexperienced. This film is about ALL of these people, so you can imagine: there's no space for a story! Everything interweaves, spirals, bumps into and wanders. We see quotidian joys, sorrows, fears. It is to director Mehra's credit that he truly captured the crowded, jostling busyness of one of the most notoriously crowded and busy country's most notoriously crowded and busy neighborhoods. It is also heart-warming to see the mundane, even decrepit aspects of the buildings and our inner selves painted in such loving, compassionate detail. The fussy detailing of life in Chandni Chowk was great, and thanks for including all the humanity, Mr. Mehra! This was a refreshing change from the lonely, depopulated Chandni Chowk in Black & White, another film which used the neighborhood as a harmonious communalism-free, casteism-free, ism-ism-free microcosm of India. However, this enormous canvas also works to Mehra's detriment: it's just too large. While a sense of humor is great, sometimes the bittersweet, humorous undertones undermined moments of serious drama. And the symbolism was also often bluntly vocalized: we get it, sir, we get it! For example, there's a scene when the daydreaming Bittu laments her inability to break free from the confines of her conservative home: the arranged marriage, the predetermined traditionalist life. Already likened to a dove in the earlier song Masakali, the characters then directly vocalize the parallels: just like the dove, Masakali, had her wings tied by the loving, overprotective Madan Gopal, so too is Bittu tied by the loving, overprotective Madan Gopal. Sheesh. A less sledgehammer-like scene (though still pretty blunt) was when Madan Gopal arranges Bittu's marriage at the moneylender's: the men interlace their conversation with a discussion on selling cars, while a television blares the latest stock exchange announcements. There were some scarce moments when Mehra's touch was lighter - such as when the feuding Madan Gopal and Jai Gopal are likened, via only a few lyrics and tasteful cuts, to the feuding Ram and Lakshman, or when the aggressive female politician is likened to Durga. But alas, these moments are all too rare. We even get a West Side Story-style final monologue, complete with a "moral of the story". Oh, the humanity indeed! 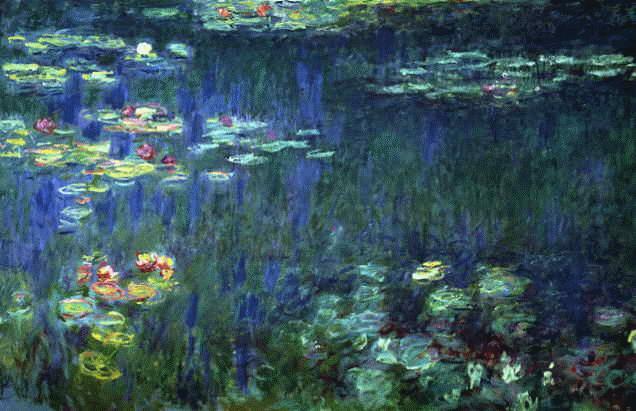 In conclusion: impressionism is nice, but it's also nice in small doses. Next time - and our previews included the most excellent-looking trailer for Vishal Bharadwaj's Kameenay, starring a sleazified Shahid Kapoor - we'd like something a bit more humble in scope and clear-sighted in vision. As an occasional treat, this will do. Caught this last night. Great idea, but poor, sloppy execution. It was a totla disappointment!!! Wonder what he was thinking. So disjointed, it was painful. And that peace message was so ineptly inserted. So many chcracters and no one justified. Had really high expectations after RDB!! Wuh-oh. I'm going to see it tomorrow unless there's a blizzard (completely possible). Totally agree re: posters; at least it sounds like there's some truth in the advertising. One of the biggest strengths of the brilliant Rang De Basanti (have you seen it?) was the subtlety with which the issues were treated. 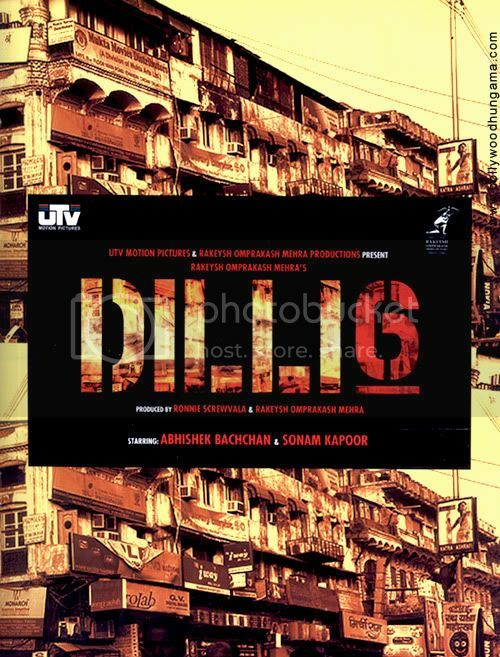 The more I read of Delhi-6, the more convincing comes the argument that Mehra has deviated somewhat from that approach. Wow - we were just talking about this last night before bed, and discussing that there seemed to be too many people in it, if that makes sense :) Thanks for the timely review! Aiie. is the guy wearing one of the shirts favored by tweens - with the stretchy sleeves and thumb holes. very fabulous. i bet he came from umreeka with a pink barbie roll-aboard. reg the movie - seems to be rich on the human element. thanks for describing the canvas in all its detail, p-pcc. will try it out. Horrible ending-- complete letdown and copout. I felt like I wasted almost 2 hrs of my time just to get shafted by a crappy excuse for an end. Ram and Lakshman fought? I'm no Ramayan expert, having only read Rajagopalachri's version, but I don't think that ever happened. However, I totally agree with that wings-tied scene. I think I cringed. Srinivas - It seems like this movie is getting really different reactions, but I tend to agree that it was technically sloppy. That said, I did find it effective in some scenes. If only it had been better edited/better envisioned! Beth - Abhishek was fine, though honestly he didn't have very much to do. I read an interesting Indian review that commented on his keen ability to project American NRIness, and how some of his behaviors were spot-on Americanish (though I guess that says more about the writing than his performance, per se). He was very cute, as always. Shweta - The flawed storytelling didn't detract from the entertainment, though! It was just a bit confusing to my dil. theBollywoodFan - It was pretty blunt, yeah, though you had to admire his intentions. And it's definitely very different from your standard commercial masala fare. This was smart masala! Long Haired Spider - I agree - a lot of those people deserved their own film! khoofi - Give it a try and let us know what you think! Hades - I haven't read any version of the Ramayana, so I can't really give much detail. It was just a brief scene when, according to the subs, it seemed that Ram and Lakshman had argued about something and were making up. I have no idea what this was referring to, though!